The annual gathering of the Forum for Cities in Transition (FCT), led by Professor Padraig O’Malley from the University of Massachusetts Boston, has gathered more than 70 delegates from 15 cities across Europe, the Middle East, and Africa for a four-day, global peace conference in Belfast, Northern Ireland which began on October 27. The FCT brings together an international network of mayors, councilors, municipal officials, business people, and representatives of the voluntary and community sector from warring and previously conflicted communities across the globe. The forum works on the principle that cities that are in conflict or have emerged from conflict are in the best position to help other cities in similar situations. Delegations this year include representatives from Baghdad and Kirkuk (Iraq); Belfast, Craigavon, and Derry-Londonderry (Northern Ireland), Haifa and Jerusalem (Israel); Kaduna (Nigeria); Mitrovica (Kosovo); Mitte (Berlin, Germany); Mostar, Sarajevo, and Srebrenica (Bosnia and Herzegovina), Ramallah (Palestine), and Tripoli (Lebanon). Working together under the theme of “Promoting Reconciliation through Resilience,” the conference includes plenary sessions and facilitated workshops on tools for community leaders, services for victims and survivors, and how to work together for a strong, fair city management. The conference is action-oriented in which participants can explore how relationships are negotiated and maintained between and among communities, how to deliver equitable basic services together, and how to set standards of transparency that will increase their populations trust in their efficacy. Padraig O’Malley is the John Joseph Moakley Distinguished Professor of Peace and Reconciliation and a celebrated facilitator/convener and author on topics related to divided societies, O’Malley has played major roles in breaking the gridlock and promoting peace in South Africa, Northern Ireland, and more recently the Middle East. He was one of the intellectual architects of the Good Friday Agreement, having engaged Nelson Mandela personally in the peace process. 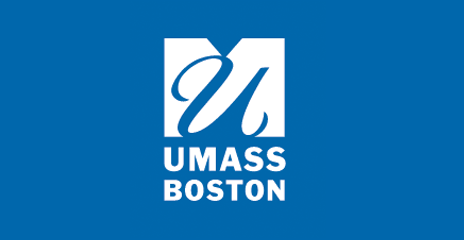 The inaugural conference was held at UMass Boston in 2009 and subsequent forums have taken place in Mitrovica, Derry-Londonderry, Kirkuk, and Kaduna.